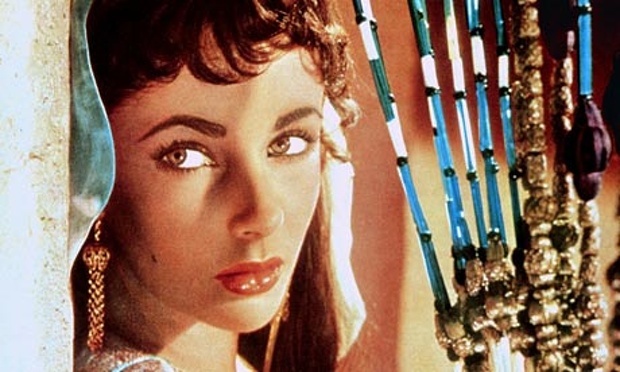 IVANHOE—-a royal and rousing standard-bearer for medieval swashbucklers, this 1952 hit from the classic Sir Walter Scott novel retains an honored place on the parapet of its genre. No production costs were stinted in MGMs Britain location filming of the complex 12th-century love & battle tale. Results were happy. 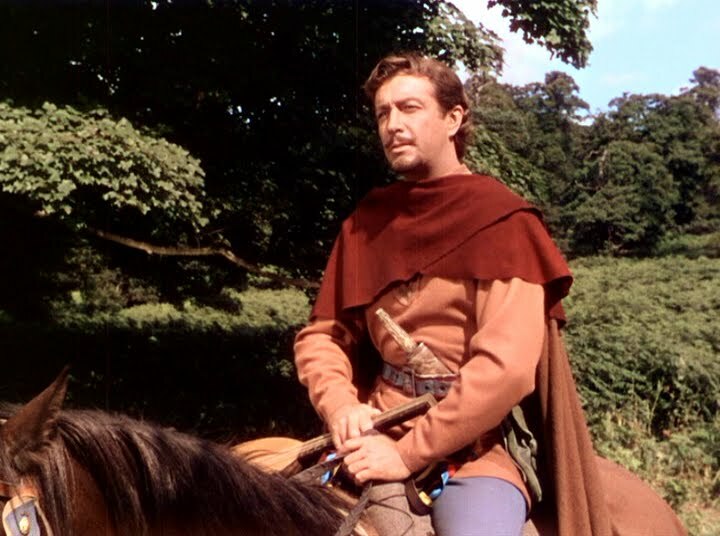 Robert Taylor is picture-perfect as the gallant Ivanhoe, Saxon Knight Exemplar, his mellow voice and classic good looks round out to a tee the movie-star incarnation of a sword-swinging hero. 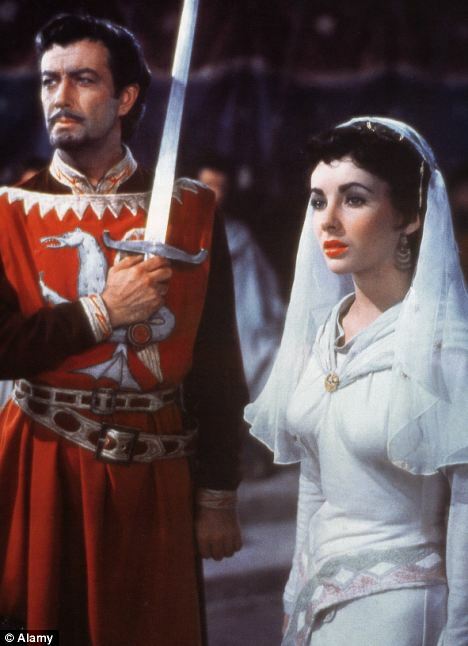 Elizabeth Taylor—all of nineteen— as his admirer, ‘Rebecca’, makes one beautiful Lady Faire, contesting for Ivanhoe’s attention with Joan Fontaine’s ‘Rowena. 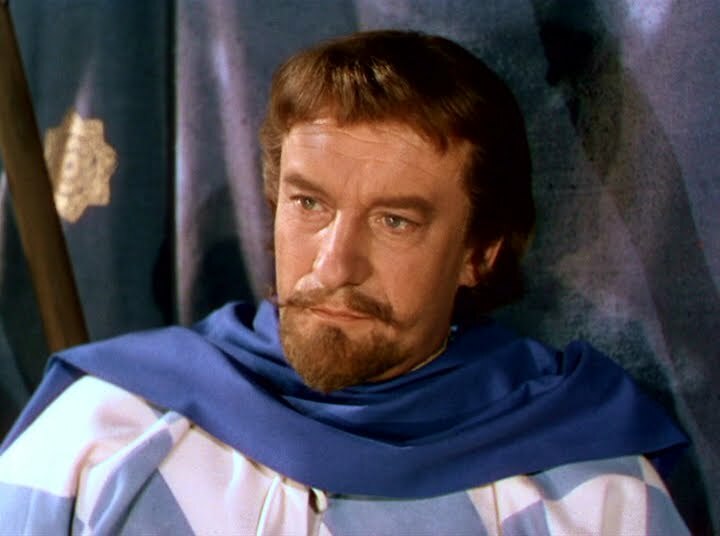 A slew of bad guys are headed by George Sanders as’Sir Brian de Bois-Guilbert’, besotted with Rebecca and not above ruthlessness to have her. A fine cast surround them, directed at a swift pace by Richard Thorpe. A yeoman workhorse, Thorpe efficiently directed 180 films between 1923 and 1967, this by far his best. 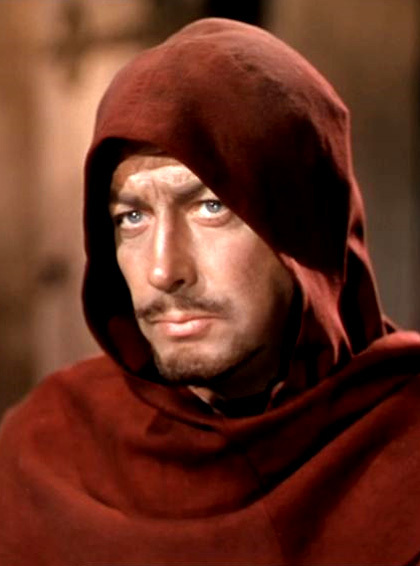 Written by Aeneas McKenzie, Noel Langley and Marguerite Roberts (who was blacklisted and had her credit removed), it’s stuffed with ripe insults between the Saxons and their Norman foes, is aglow with romance, and the production detail is a bountiful treat, as the set decorators and costume designers had a feast with this job. There’s a great full-scale castle replica mocked up for the furious battle of Torquilstone. Other awesome examples of turret and drawbridge architecture show up in glorious color under the lensing of Freddie Young; for rich visuals, this epic is hard to beat. Miklos Rozsa’s music score is chocked with heroic melody and fanfare, and one action highlight follows another as jousts, duels, wall scaling and a dungeon melee punch up the plot. Costing $3,842,000, it brought back a hefty $10,878,000, making it the fourth biggest hit of its year, as well as drawing Oscar nominations for Best Picture, Cinematography and Music Score. With Finlay Currie, Emlyn Williams, Robert Douglas, Felix Aylmer, Francis DeWolff, Sebastian Cabot, Basil Sydney, Guy Rolfe. 106 minutes.